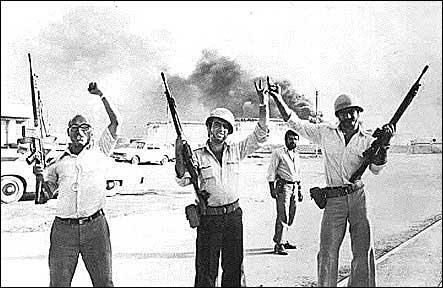 In the absence of expert military leadership, ordinary Iranian civilians defend Abadan. 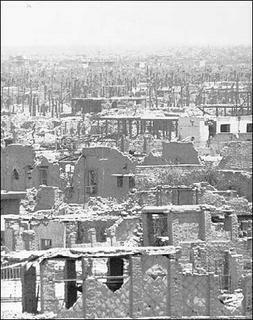 City of Khorramshahr Totally Destroyed by Ba'athist forces. Great pictures. Do you know where I can find more? My father fought against Saddam and was witness to chemical weapon attacks. I'm also looking for good information on Reagon and his role in the war. 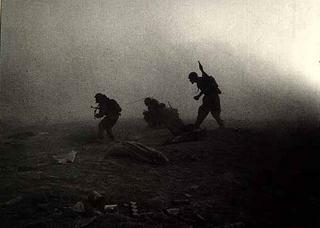 My thanks and gratitude to your father who defended our honour sir. 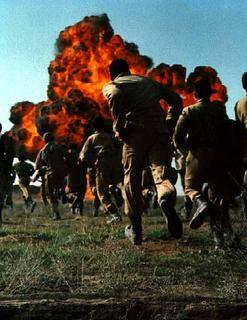 For more pictures just google for iran-iraq war. For Reagon's role in prolonging the war in collusion with Rafsanjani, google on Irangate or iran-contra affair.